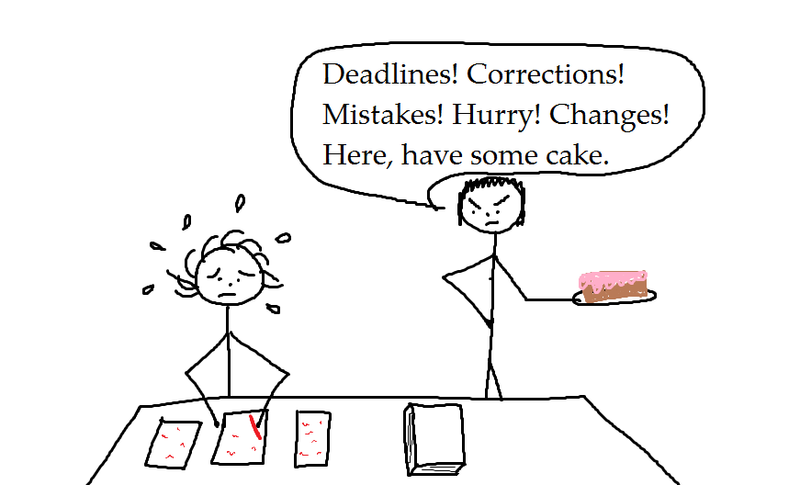 I’m busy with the end of a very long and stressful project, and so dreamt about a day at the office, where I was being yelled at and rushed and harassed, and then offered cake, which made it all better. Yesterday was such a day at the office, but THERE WAS NO CAKE! Posted in Work and tagged cake, corrections, dream, office, stress, Work. Bookmark the permalink. I am embroiled in some stressful editing at the moment, and I play Plants vs Zombies when I need a break. 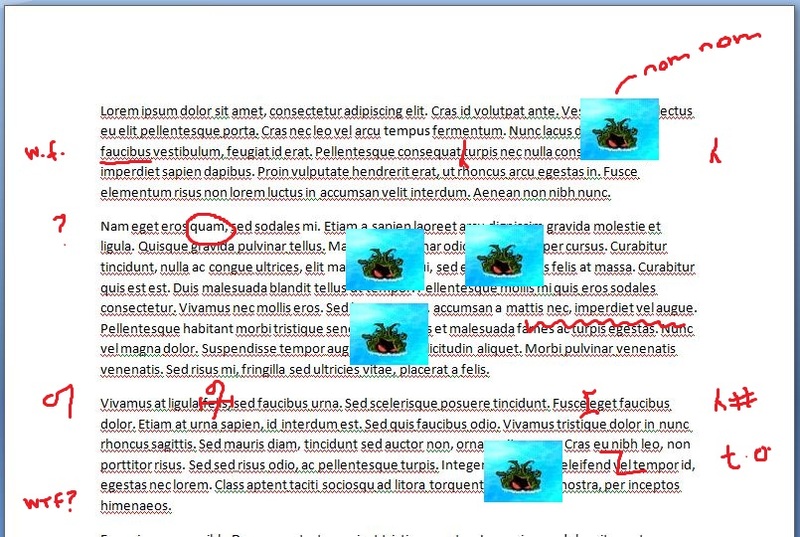 It seems that my dream self would like to attack this editing with some zombie-eating plants. That kelp thingy (with the red eyes) drags the zombies under the water and kills them proper-dead. Go to https://lornaland.wordpress.com/2011/02/21/plants-vs-zombies/ for the other Plants vs Zombies dream. Posted in Work, Zombies and tagged dream, editing, plants versus zombies, stress, Work. Bookmark the permalink. Eventually I gave up and went home. 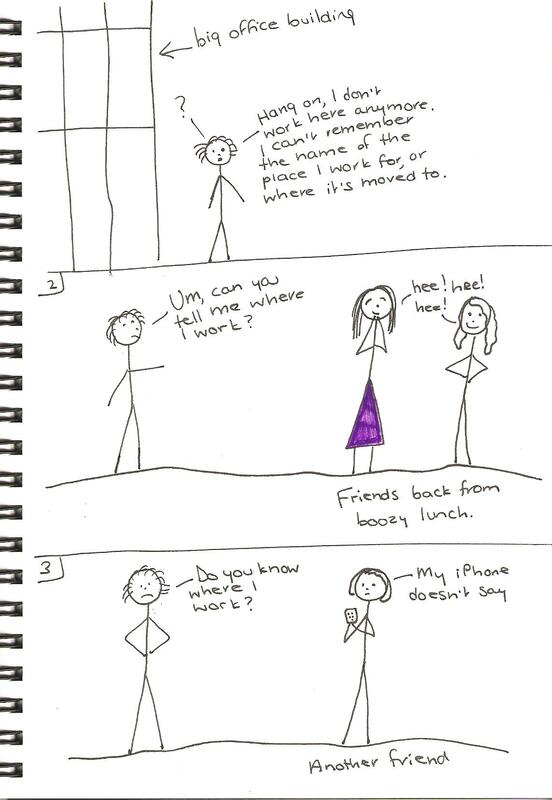 Posted in Uncategorized and tagged dream, forget, friends, iPhone, lost, office, Work. Bookmark the permalink.